The Ranger CG Corrosion-Guard finish greatly extends the life of the actuator in highly-corrosive environments. 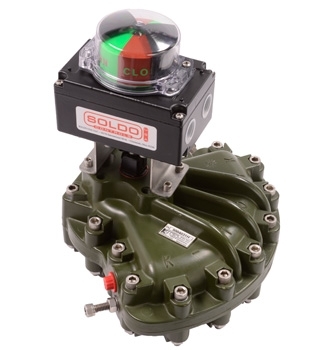 The housing and vane are treated both inside and out while the Ranger CG system treats all internal threads and cavities. The Ranger CG actuators provide an armoured layer of protection against a wide range of acids, caustics, alkalis, solvents and salt-laden environments. The cast aluminium body and alloy steel vane are treated with a thermosetting tripolymer resin coating system formulated for mechanical components requiring corrosion-resistance and surface lubrication. Available in both double-acting and spring-return models. See K-TORK literature page for further details.